Our oceans are facing multiple problems and the world is trying to find solutions to deal with these at the UN Ocean Conference in New York. 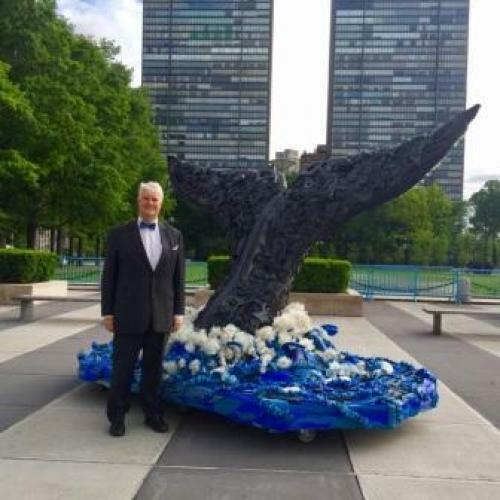 Carl Gustaf Lundin, director of Global Marine and Polar Programme at the International Union for Conservation of Nature, Switzerland, talks to Vibha Varshney about the solutions the world community is expecting to save the oceans. What is the status of our oceans? Every second breath we take is from the oceans and we have many reasons to care about them. Over the years, we have done a lot of damage to our oceans. India, for example, has lost most corals, mainly due to human activity. This year, we have lost reefs from across the world. Australia has lost nearly half of its coral reefs due to warming waters. Maldives has lost as much as 90 per cent in some parts of the country in the past year. Due to warming, there is as much as 3 per cent less oxygen in the water and this makes it very difficult for fast-moving fish like tuna, as it shrinks their habitat. Oceans are now 30 per cent more acidic which is bad for plankton, small oysters and mussels. Low-lying areas are affected by sea level rise due to thermal expansion and melting of ice on land. This is truly catastrophic. There was a lot of discussion on fisheries at the meeting. Why is this relevant? We have added to these problems with overfishing, providing irrational subsidies for fishing and by not ensuring an equitable distribution of the rights to fish, which has given small-scale fishermen a bad deal. In many cases of subsidies, we are paying people to go out and destroy fish resources. This is crazy and we do not do this in any other sector. For example, we do not give subsidies to people to go and cut trees. Sometimes, the subsidies are more than the value of fish. As fish subsidy are given across the board, big ships get more subsidies. 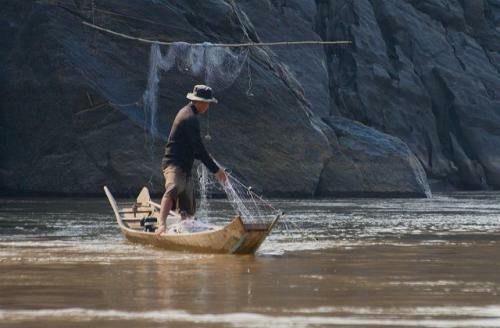 Small-scale fishermen get a raw deal. We need to refocus our efforts to support small-scale industry, which sometimes do not even have the basics such as refrigeration and ice. Due to this, some of the harvests are not in a good condition by the time it lands and this is a potential problem for our health. This is an economic loss not only for fisherman, but for consumers also. How do we get enough fish to meet our demand? At present, half of the fish we eat is farmed and this is the only way to meet the demand. Though fish farming can sometimes be polluting, it depends on the kind of seafood we are growing. Mussels, clams and seaweeds are not harmful. They can reduce some of the pollutants like excess nutrients from the water. Farming carnivorous fish has the potential to pollute, as they largely feed on fish and other animal protein. Dead feed can accumulate, rot and then cause pollution. Most of the world has been farming carnivorous fish for only about some 50 years. Compare this to animal husbandry where cows have been domesticated for thousands of years. We are learning and will get better at fish farming also. The ecological footprint of farmed fish is less than the footprint of a fish from the wild. Fishing in the sea is equivalent to killing deer and rabbits in the wild. How will the ocean conference help in protecting marine resources? We have voluntary commitments from governments, civil society and industries. These commitments indicate that people have identified a problem and this is what they would do to tackle it. Some commitments made by governments are very significant. For example Germany has provided money for mangrove protection and marine parks, Cook Island will put its EEZ (exclusive economic zone) for marine conservation, and Gabon has dedicated a third of its water for conservation. The private industry has an important stake for adhering to commitments, as it helps them build their image. This is often more efficient than binding agreements since they often take a long time to negotiate and ratify. The process of finalising the binding solution is often long and painful. Many companies are interested in making commitments. Most are concerned about their reputation. A bad name in the media costs more than what they would invest to meet the commitment. Australia is doing a good job in protecting the fisheries and so is Chile. For marine pollution, USA and the EU are doing more. The work can be peer monitored through a third party certification. This also gives an option to fix problems on the go. There are many things we do not understand well. While we are talking about plastics that are visible to the eye, we missed out on microplastics. We know that nano plastics can move across our membranes, but do not know what they are doing to our bodies. Science is not there to help us at present. Cleaning the ocean is not going to be a push-a-button solution. It would take a thousand of decisions made by thousands of people, taken across the world over time. Instead of making a big statement at the meeting, there is much more focus on finding ways to solve problems and how to collaborate for this. To combat problems such as ocean acidification and sea level rise, we have to reduce atmospheric carbon dioxide. The momentum is there, the train has left the station and most people are on board to meet the commitments.